The Sigma 12-24mm f/4 DG HSM Art lens is the lens you have been dreaming of for landscape, architecture, travel, automotive, train, and nature photography. Featuring a constant f/4 aperture for bright viewing and quick focusing, impeccable corner-to-corner sharpness, and impressive close-focusing capabilities, Sigma has given photographers every reason to upgrade their ultrawide glass right now. Beyond the first impression when you pick this beauty up—namely, an immediate sense of the pro-level quality of the lens—there is in the end the satisfaction with the remarkable detail this lens resolves. Beginning at 12mm, picking up 122° or more than one-third of the world around you, this lens reveals intricacies that you would never see with the naked eye. While you might expect good center sharpness—the 12-24 has this in spades—the edge and corner sharpness is excellent, too. Add to this contrasty, nicely color-balanced images, and little distortion, and you have the perfect tool for prize-winning photography. Wide aperture providing bright viewfinder images throughout zoom range. Robustly built for decades of pro-level use. Contrasty, spot-on color rendering, and super, super sharp! The Sigma 12-24mm f/4 lens offers the pro-level performance previously only available in fixed-focal length lenses. From sunrises and sunsets to wildflower and waterfalls, from buildings and bridges to cars and trains, this ultrawide zoom fits nicely into the Art lens line-up already made legendary by the 20mm 1.4 DG HSM, 24mm 1.4 DG HSM, 35mm 1.4 DG HSM, 50mm 1.4 DG HSM, and 85mm 1.4 DG HSM. The Sigma 12-24mm f/4 DG HSM lens is one of the Sigma Global Vision Art lenses. Sigma’s Art lenses are known world-wide for their ground-breaking designs, superlative image quality, and rugged construction. Upon picking up the 12-24mm, you will immediately be greeted by this quality feel. Built for use on full-frame cameras, the Sigma 12-24mm f/4 is finished in matte black. On the one hand, it is certainly not diminutive in size, measuring 4” in diameter and 5.2” long, but, on the other hand, this lens is not all that large considering its full-frame designation, widest focal length of 12mm, and constant f/4 aperture. A petal hood petal hood, extending 1.25” beyond the front ring, plus its matching front cap, makes the lens look a bit bigger than lenses with removable hoods. The built-in hood is important on this lens insofar as the front element bulges out about 1/2” past the front lens ring. The front cap, lined with a velour-like ring inside, fits snugly and smoothly. It provides secure protection during shoulder-slung use yet slides off pleasingly well when ready for action. The 12-24mm f/4 is well-built in other ways. Its 40.6 ounces may seem on the heavy side, but, like the overall dimensions, this is not excessive considering the combination of ultrawide views and the constant fast aperture. Its glass consists of 16 elements arranged in 11 groups. The design incorporates FLD glass, which performs similarly to Fluorite components. Focusing is smooth and precise. The HSM motor provides fast, quiet operation in autofocus. For manual operation, the 1/2” front ring is well-damped, turning 130°. The minimum focusing distance is an impressive 9.4” at 24mm, allowing close-up magnifications up to 1:4.9. Zooming is accomplished with the 1/2”“ rubber ring toward the aft of the lens. Rotation is smooth and well-damped, describing 70° of rotation. While the front element moves in-and-out during zooming, the generous petal-shaped hood protects throughout its range. Regardless of the camera’s position, from upside down to pointed straight up, no zoom creep occurs. The Sigma 12-24mm ships with the built-in hood, a slide-on front cap, a rear cap, and a padded case. As with all the Sigma lenses, it is covered by a four-year manufacturer’s warranty. Shooting with this wide-aperture, full-frame glass is just plain fun. Gone are the days of squinting through small, variable aperture lenses that make it hard to see in anything but mid-day lighting. As I have pointed out elsewhere, namely in my reviews of the Sigma 18-35mm F1.8 DC HSM Art (which I explored here) and the Sigma 24-35mm F2 DG HSM Art (which I explored here), Sigma is committed to making wide-aperture, constant-aperture, pro-level zooms. 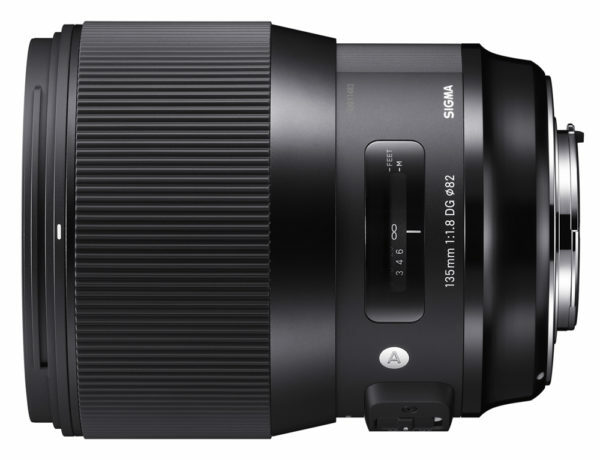 The Sigma 12-24mm F4 DG HSM is no exception. Insofar as it remains at f/4 throughout its range, viewfinder shooting is efficient even at the ends of the day, at night, or in dark indoor locations. In addition, the fast glass makes autofocusing a snap. Images are locked in immediately. One of the most enjoyable things about shooting with the Sigma 12-24mm f/4 is the instant, amazing results, namely brilliantly sharp images showing up on your LCD. Take a picture of an landscape and then review it: sharp, center and edges. Shoot an interior: sharp. Shoot at night: sharp. Are you getting the idea that this lens is sharp?! If you have been taking pics with another ultrawide, you owe it to yourself to try this one out. I predict that you are going to be blown away by how much detail this lens can resolve. While the Sigma 12-24mm f/4 is a sizeable lens, it feels great on my Nikon D800E. With its good balance, fast maximum aperture, and short focal lengths, this lens easily hand-holdable for many situations. Zooming is butter-smooth and well-damped as you frame your subject. In low light situations, manual focusing is certainly possible but gets a bit tricky on the wide end. Autofocusing is quick at all focal lengths, even indoors or at the ends of the day. Wide angle lenses are the bread-and-butter of nature and travel photographers. While I wrote here about the merits of shooting with the Sigma 24-35mm F2 DG HSM Art (which I explored here), sometimes you do need more wide angle reach. The extreme focal lengths of the Sigma 12-24mm help capture stunning images in locations such as gorges and are a must for sunrise and sunset photography. For geological reasons, cascades often form in narrow gorges, which leave photographers trying to depict frothy water in cramped quarters. Such was the case when I visited Cumberland Falls State Park in southern Kentucky. The main waterfall, Cumberland Falls, is large and in, by waterfall standards, a fairly wide gorge. Even there, however, wide glass was required to pick up the gorge, falls, and foreground details, such as the overhang rock extending from the fall to my vantage point. Zooming to 18mm helped define the foreground, middle ground, and background subjects, a fine recipe for creating a sense of three-dimensionality. After shooting the main falls, I hiked down the opposite side of the gorge, where Eagle Falls is tucked in a small valley off the main gorge. For this plunge, I zoomed out to 12mm to capture the falls, slump blocks, surrounding rock faces, and nearby trees. (See photo above.) Having an ultra-sharp, ultrawide in your bag is just the ticket for waterfall photographers. Another advantage to shooting the 12-24mm with a high resolution camera is that you can shoot wide and then crop as you see fit later. As a calendar photographer, this is a real benefit. I can capture a scene in great detail and count on fitting it to various rectangular and square formats, as well as cropping in to increase the balance with each particular aspect ratio. The shot of Anglin Falls (below at the end of feature) was taken at 12mm and then cropped to an 8×10 ratio, still retaining great detail. For sunrises and sunsets, I love to start wide, zoom in when the sun reaches the horizon, and then zoom back out. Right before sunrise and right after sunset, the sky fills with colors. For modest crepuscular displays, focal lengths in the 24mm, 28mm, and 35mm may be enough, but when the sky really lights up, there is nothing like having 12mm at your disposal. Indeed, for most sunsets I find myself setting ‘er as wide as she’ll go. An example: After returning home from a photo trip, I pulled into our drive shorty before sunset and glanced at the sky. I could see beautiful clouds to the west and color starting to fill in. I jumped in my truck, drove to the top of a nearby glacial hill, and began shooting. Every frame I took that night was at 12mm as the sky lit up with colors from east to west.